Manage Linux users and client hosts in your realm from one central location with CLI, Web UI or RPC access. Enable Single Sign On authentication for all your systems, services and applications. Define Kerberos authentication and authorization policies for your identities. Control services like DNS, SUDO, SELinux or autofs. Create mutual trust with other Identity Management systems like Microsoft Active Directory. Integrated security information management solution combining Linux (Fedora), 389 Directory Server, MIT Kerberos, NTP, DNS, Dogtag certificate system, SSSD and others. Strong focus on ease of management and automation of installation and configuration tasks. 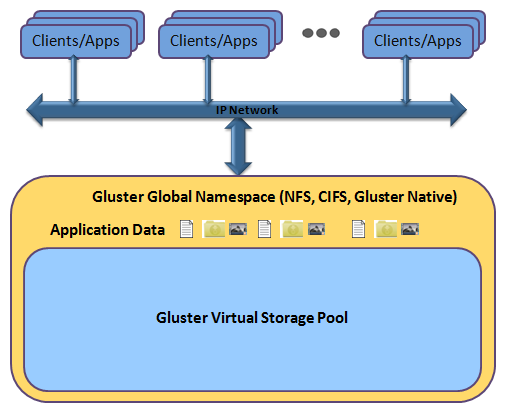 GlusterFS is a scalable network filesystem suitable for data-intensive tasks such as cloud storage and media streaming. 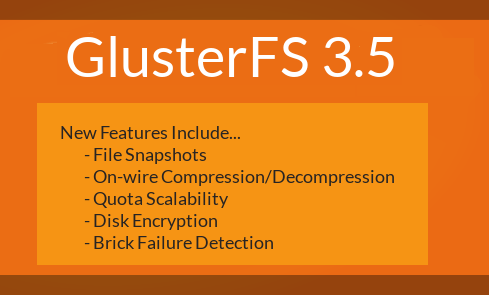 GlusterFS is free and open source software and can utilize common off-the-shelf hardware. To learn more, please see the Gluster project home page. Red Hat Enterprise Linux (RHEL) is a Linux distribution developed by Red Hat and targeted toward the commercial market. Red Hat Enterprise Linux is released in server versions for x86, x86-64, Itanium, PowerPC and IBM System z, and desktop versions for x86 and x86-64. All of Red Hat’s official support and training and the Red Hat Certification Program centers around the Red Hat Enterprise Linux platform. Red Hat Enterprise Linux is often abbreviated to RHEL, although this is not an official designation.